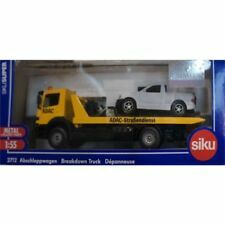 SIKU 1613 Truck Low Loader with Boat Die-cast Model Toy Car Gift. Scale: 1/64. 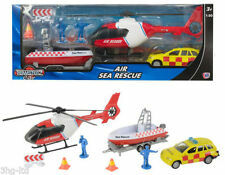 1X Truck Model with speedboat. Color:as picture. Lovely model in diecast by Mira and this is a Seat Ibiza in 1/55 scale (?). with a plastic boat and diecast trailer. NB: Original SPEARHEAD Boat Included. Promotion Label on Truck: Krüger Transporte or maybe make you own. 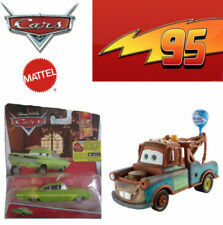 Matchbox'sClassic SUPER KINGS Collectibles Diecast Model. Snap Lock Trailer. Made in England 1986 (Truck) & 1980 (Trailer). Made in Germany by SIKU. FORD CARGO Truck Build As: BOAT TRANSPORTER Truck. 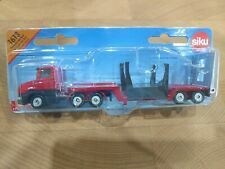 1 x 3-Axle FORD CARGO Truck. 1 Smaller SPEED BOAT. Text on BOAT: D 912 FEUERLOSCHBOOT. 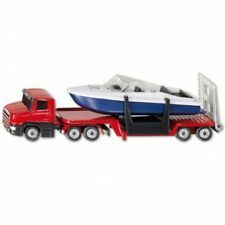 Siku low loader with speed boat toy Highly detailed models from Siku Colour: Red/White/Blue Size: 16 x 3 x 4cm . 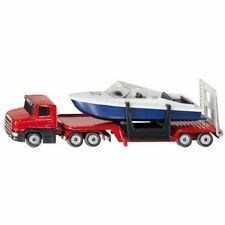 Low Loader W/Speed Boat - Die-Cast Vehicle - Siku 1613. Siku Part No. 1658. Jeep Wrangler, with Boat and Trailer. Rib Type boat complete with Motor. 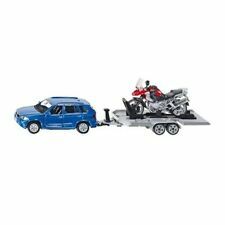 Twin axle Boat Trailer. QUALITY TOY MODELS. Small scale. They are sturdy and hardwearing. We will always help you to have a 100% positive happy buying experience.